On Oct. 1, the New York Times reported that Donald Trump claimed a US$916 million net operating loss on his 1995 New York state income tax return. The article suggested his doing so would have allowed the Republican presidential candidate to avoid paying federal income taxes for up to 18 years. Since Trump himself has not released any of his tax returns – claiming he can’t do so because of an ongoing audit – the limited information we have about the loss has led to speculation about what he did to generate it, whether it was appropriately reported and whether he used it to avoid paying taxes. An accurate assessment of his tax situation is impossible without seeing more of his actual returns. Nonetheless, there are some things we can glean from the few pages of the leaked 1995 tax return and other details. The main concern in my mind is this: Trump’s claimed net operating loss is so large that it naturally invites the question of whether it was properly reported. 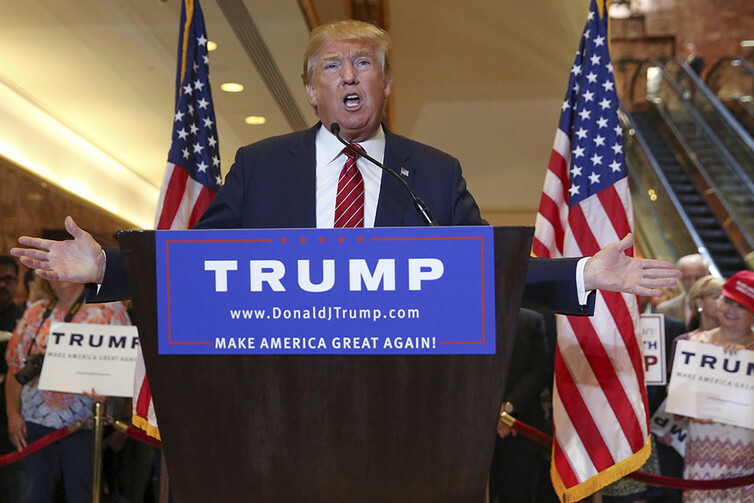 Put plainly, has Trump been honest in his tax reporting – and with the American people? Over a 19-year career as a tax lawyer or tax law professor, I have studied closely the provisions on which he would have relied to claim this loss. It’s possible the loss is properly reported, but given its size and what we know (and don’t) about Trump’s affairs, it is hard to know for sure. Trump refuses to release his tax returns. The ability to take a net operating loss to offset income in other tax years is common to virtually every income tax system in the world. It results from the fact that annual tax reporting otherwise precludes the taxpayer from deducting losses in one period against income in another, even though the use of tax periods is somewhat artificial. For example, let’s say taxpayer A loses $10 in year 1 and earns $20 in year 2, while taxpayer B earns $5 in each year. The two taxpayers have the same net income over the period ($10). But without the use of a net operating loss, the first taxpayer would have to pay tax on $10 more of income than the second one, because he gets no benefit in year 1 from the loss. The loss provision allows taxpayer A to apply the $10 loss from year 1 to year 2, so that he is taxed on $10 total, just like B. At the time Trump claimed the net operating loss, the tax code allowed it to be used to offset income in the three years before the loss and up to 15 years after. Was the loss his to take? So should Trump have been allowed to report such a large net operating loss on his 1995 tax return? The loss seems to emanate from the sale of several of his casinos and other properties, such as the Plaza Hotel in New York City, in 1995. According to the Wall Street Journal, he suffered large losses when he sold these properties, which were financed with hundreds of millions of dollars in debt. These sales would have generated net operating losses for Trump. 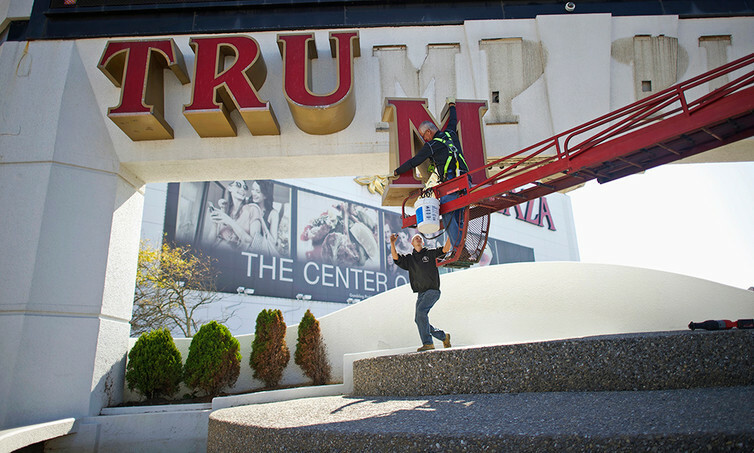 The Trump name is disappearing from Atlantic City. However, in connection with the sales, Trump reached an agreement with his creditors under which they canceled substantial portions of the loans they made to him. In other words, at least some of those huge losses were economically borne by the lenders rather than by Trump. How much precisely we don’t know, but the Journal suggests it included a large portion of the debt on the Plaza and more than half of $110 million of personal debt. In general, the tax law deals with this type of loss-shifting to lenders by treating the cancellation or forgiveness of the debt as income to the debtor (Trump), though often in a different year from that in which the cancellation occurs. When that happens – as I’m assuming for various reasons was the case with Trump – it still had to be reported on that year’s tax return in another way. This is where things get a bit technical, but it is worth following the thread to see the tax policy point that Trump’s loss actually raises. There is not much point in taxing cancellation of debt income in the year it occurs when it is the result of bankruptcy or insolvency, because the taxpayer almost by definition cannot pay the tax. Instead, the tax code generally taxes it – at least to some extent – in another year. The mechanism by which this occurs is referred to as a “reduction of tax attributes.” That’s a fancy way of saying that the taxpayer is required to reduce or eliminate certain tax benefits to which he would otherwise be entitled in another year. The result is to increase his tax in that other year. One tax attribute that may be subject to reduction is a net operating loss. If this rule applied to Trump – and we have no way of being certain it did – then some or all of his net operating loss would have been wiped out by the debt cancellation, meaning it would not have been available in other years to reduce his tax liability. Given the size of the reported loss, however, one wonders whether the canceled debt in fact ended up reducing the net operating loss. Now we are finally getting to one of the potential problems with the net operating loss rules as they may have applied to Trump. The alternative tax attribute Trump may have chosen to reduce was his “basis” in some of his business assets. Basis is a technical tax term that generally refers to the amount of money the taxpayer has in an investment. As an example, if I pay $100 for some land, my basis in that property is $100. If I later sell the land for $150, the basis is subtracted from the sales price to get to my $50 of taxable income from selling the property. But the basis on an asset can change over time. If I make a subsequent investment, it can go up, thus reducing the taxable income from a sale by that amount. It can also go down, because of things like depreciation. In Trump’s case, instead of reducing his net operating loss, he could potentially have chosen to use the canceled debt income against his basis. That would produce more taxable income to Trump in later years when he sells the assets (because the gap between the basis and sales price would be bigger) or simply because he would have had less tax depreciation, but it would also preserve the more valuable net operating loss. The benefit of doing this for Trump would be that he’d get to use all of his net operating loss to write off future tax bills. It is possible Trump did this, which could explain why he continued to have a large net operating loss in the face of what seems like a large debt cancellation. This would be legal (assuming the facts supported it), but perhaps the law should not permit this choice or should make it more difficult. What’s the bottom line of all this? Citizens asked to entrust Trump with their votes have a right to know whether he is being straight with them. This question has arisen more pointedly in connection with tax reporting for his foundation (a topic for another occasion), but the unusual features of the net operating loss are no less cause for concern. That’s why it’s important that he finally disclose his tax returns so no doubt remains.